The most information I could find online about this artist was a write-up from his Berlin-based record label that read like it was translated from German to English by a clumsy Google Translate algorithm. So all I know is that Pete Josef is a vocalist who has worked on other Sonar Kollectiv projects and Colour is his solo debut. Obscurity aside, this is a fantastic EP in the realm of soulful songwriting, raw production, and balladic performances. This 4-track EP features two version of the title track, which showcases Josef’s delicate vocals in the original mix and a more electronically garnished mix by Glow in the Dark. The original version features some wonderful guitar work reminiscent of reggae jazz legend Ernest Ranglin. Two other tracks are simple melodies with interesting beats and arrangements around Josef’s vocals. “Make it Good” is remarkable for its ‘go go’ quality and stands out from the neo-soul vibe of the rest of the EP. 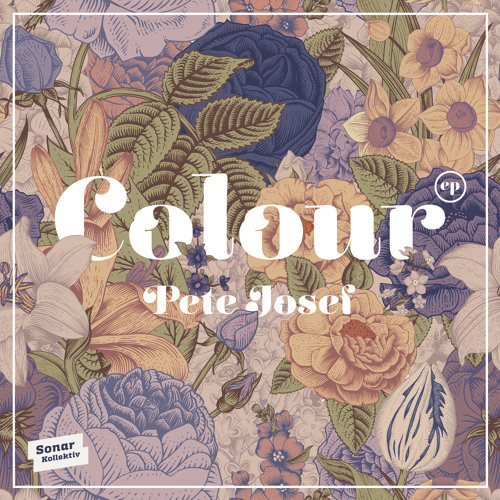 This variety presents Pete Josef in the best possible light as a debut recording artist: vocal versatility, strong songwriting, and more than a few production gears behind him. The full length Colour album drops on Oct 23 2015 on North American iTunes.